QAR 1056 including 12 QAR shipping. 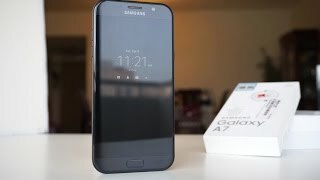 The Samsung Galaxy A series is popular for offering a nice balance between specs and price tag and now there is a new smartphone in the series to talk about, the Samsung Galaxy A7 (2017). Nothing has been officially confirmed yet, but there are rumors that this phone won’t be available in Europe officially. As its predecessor followed these footsteps as well it’s not really a surprise. 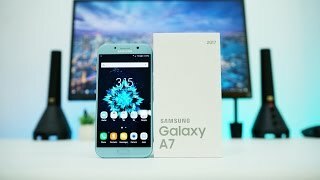 Before we get to the specs and other details of this phone, let’s take a look at the Samsung Galaxy A7 2017 Qatar price first. It should be available for about 2000 QAR when it’s here. There are some great phones available in this pricing range so let’s see if it will be a good idea to wait for the Samsung Galaxy A 2017 release date Qatar or not. Compared to the 2016 version, there is not much to look forward to when it comes to the display. It’s the same 5.5-inch screen protected by Gorilla Glass 4 which will be showing 1920 x 1080 pixels resolution which means the same screen size with same resolution. It will also include Gorilla Glass 4 back panel. As nothing is official at the moment it’s too early to talk about the design but no major change is expected. 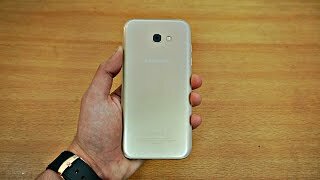 Just like the Samsung Galaxy A7 2016 version, there are four different colors to look forward to after the Samsung Galaxy A7 2017 release date: Pink, Gold, White and Black. One of the best feature of this upcoming phone is the addition of a 16-megapixel camera. Surprisingly both the front and rear camera will be a 16-megapixel one which is a big jump from the 5-megapixel front camera and 13-megapixel rear camera. Users will be able to capture 1080p videos using both front and back camera. For those who are interested to buy the best camera phone available at the moment can check out the iPhone 7 Plus and Google Pixel XL. However, these are quite expensive compared to the Samsung Galaxy A7 2017 Qatar price. Under the hood, the Samsung Galaxy A7 2017 is packing Exynos 7870 octa-core processor paired with 3GB of RAM. Unfortunately it will be running Android Marshmallow operating system instead of the latest Android Nougat. If you believe the 32/64GB built-in storage is not enough for you it can be expanded to up to 256GB using the microSD card slot. All the necessary connectivity options are there with other notable features like fingerprint scanner and NFC. We don’t know much about the size of the battery but it will include fast battery charging. For those who are interested in a phone that offers big battery, there is the Asus Zenfone Max 2016 and Lenovo Vibe P1. As mentioned earlier, nothing has been officially unveiled yet including the release date. 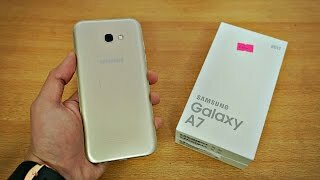 However, if you are interested to buy this phone after learning the Samsung Galaxy A7 2017 Qatar price, you can start looking out for this phone in December, 2016. 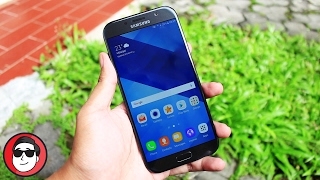 The galaxy a7 2017 Mobile Phone is manufactured by Samsung and was added around November 2016 and is part of the Samsung Galaxy A7 2017 series. This version of the Mobile Phone comes in Color : Black , Capacity : 32 GB , Band : LTE , Display Size : 5.7 Inch , Sim Cards Slots : Single Sim , Special Features : Touch Screen , Special Features : External Memory Card , Special Features : NFC , Device RAM : 3 GB. The model comes in 15 other variations including combination of LTE Band , 32 GB Capacity , Black, Blue, Gold Color , 3 GB Device RAM , 5.7 Inch Display Size , 1.9 GHZ Processor Speed GHZ , Dual Sim, Single Sim Cards Slots , External Memory Card, NFC, Touch Screen Special Features. 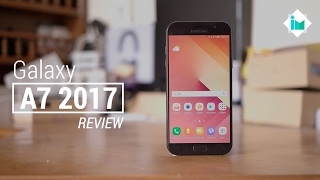 Samsung Galaxy A7 2017 Review Indonesia - Kemahalan? 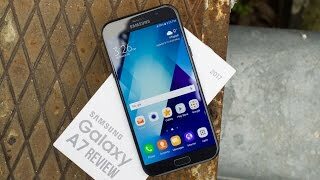 Samsung Galaxy A7 2017 Review! Price has decreased 40% from QAR 1732 on 2017-01-17 to QAR 1044 today.